Home > Ritz Carlton Penthouse on the Market! 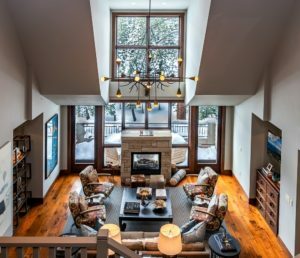 Residing on the top floor of The Ritz Carlton Lake Tahoe, this fabulous duplex penthouse boasts impressively high ceilings, 2 master suites, and a balcony overlooking the mountains. See the 3D Tour! Panoramic views of the slopes of Northstar are sure to entertain your guests as they gather around the indoor/outdoor fireplace in the Great Room or snuggle into one of four luxurious bedrooms. 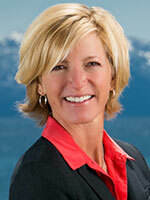 Join the Tahoe luxury real estate market as a part of the only AAA Five Diamond hotel in the Tahoe-Truckee-Reno area. Ample outdoor activities, luxury concierge amenities provided by Ritz Carlton, spacious yet comfortable great room, wine room, formal dining, den, office, and a terrace overlooking the hotel grounds. The Ritz Carlton Lake Tahoe provides a background for your mountain vacations like no other, whether it be the valet parking, the restaurants, bars and Spa just an elevator ride away, or the year-round outdoor opportunities offered by Northstar California. A popular and convenient family destination, Northstar offers countless activities year round. Located between Truckee and Kings Beach off Highway 267, Northstar is made up of quite a few smaller developments. When first entering Northstar, there are single family homes located near and on the golf course. The Village at Northstar is made up of shops, restaurants and condos. Nearby are the higher end Village Walk Townhomes, Residences at the Hyatt, The Highlands, Ritz Carlton, and the new Home Run townhomes right on the slopes for a true ski in, ski out experience. There are outdoor activities for everyone, including downhill mountain biking, ice & roller skating,golf, showshoeing and wildlife preserve trails.